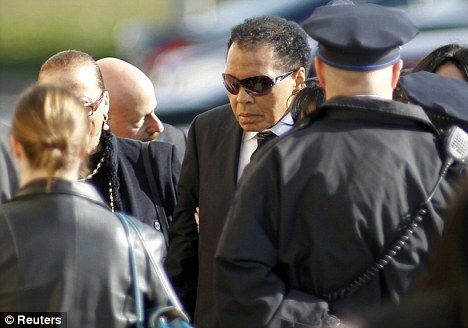 Muhammad Ali, the Black Superman, is feared to have been taken to hospital after falling unconscious, just days after his frail appearance at a funeral for Joe Frazier on November 14. The 69-year-old has suffered from Parkinson’s disease for 27 years and was taken to Scottsdale Healthcare Osborn Medical Center, according to reports from Star magazine and RadarOnline. It has not been revealed what Ali was treated for or how long he spent at the hospital – but he has now recovered.